Tools to help you weigh your alternatives. Define your priorities and review your values. Priorities: Select and rank your priorities. Values: Ensure that your thinking serves your values. Examine your solutions for potential problems. Time Framed Consequences: Observe the consequences from different time frames. Bullet Proofing: Recognize the vulnerabilities of your solutions. Negative Brainstorming: Examine your solutions for potential failures. Solutions Effect - Fishbone Diagram: Diagram the side-effects of your solutions. Potential Problem Analysis: Analyze your solutions for potential problems. Help or Hinder: Identify what might help or hinder your solutions. Force Field Analysis: Understand the forces that drive or restrain your solutions. Contradiction Analysis: Analyze the contradictions inherent in your problem. What If? Analysis: Assume that future outcomes have already happened and identify their impacts. High Impact / Low Probability Analysis: Assume an unlikely outcome has happened and determine its impacts. Pre-Mortem Analysis: Assessment of how a plan, judgment, or decision could go spectacularly wrong. Devil's Advocate: Present the best possible case against a proposed plan. Evaluate your solutions using analytical techniques. Pros, Cons, and Interesting: Evaluate the good, bad, and interesting points of your solutions. Progressive Hurdles: Create a short list from a large number of possible solutions. Pareto Analysis: Identify the most important parts of your problem and determine their severity. Paired Comparison Analysis: Rank your alternatives by comparing them in paired sets. Grid Analysis: Rank your alternatives. Hypothesis Testing Matrix: Create a matrix for testing hypotheses. Analysis of Competing Hypotheses: Computer program for analyzing multiple hypotheses. Parallel Arguments: Examine each point side-by-side. Agree, Disagree, and Irrelevant: Compare areas of agreement, disagreement, and irrelevance. Record your expected personal gains and losses. Personal Gains and Losses: Determine expected personal gains and losses for each of your solutions. Examine the stakeholders involved in your solutions. 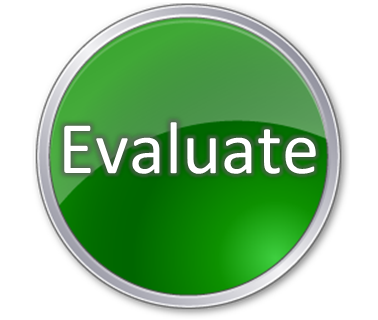 Stakeholder Analysis: Examine the stakeholders involvement in each of your solutions. Commitment Chart: Determine the minimum stakeholder commitment required to succeed. Easy Way Out: Choose the easiest way out, then justify it. Spell Out the Reasons: Choose each alternative, then justify it. Give Up What? : Choose each alternative, then knock it. Ideal Solution: Rank alternatives by their nearness to the ideal solution. Best Home: Examine the best home for each alternative. When Does It Become Unattractive: Find out when each alternative becomes unattractive. Well-Being of the Whole: Rank alternative by their contribution to the well-being of the whole. Fear, Greed, and Laziness: Examine the influences of fear, greed, and laziness on each of your alternatives. Stand Pat: Consider doing nothing. Defer Decision: Examine the reasons for deferring your decision. Final Decision: Make your final choice.